In May, the Marketing team kicked off a new series called “Page Fights”. 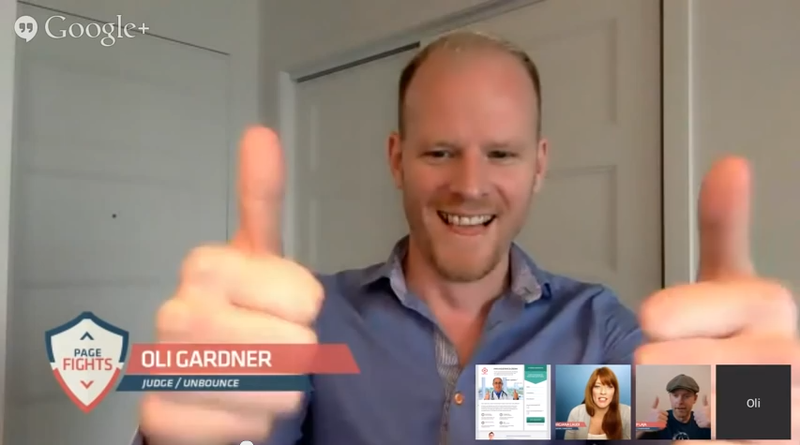 I play host and Oli Gardner (Unbounce) and Peep Laja (ConversionXL) judge 33 landing pages live on air. Even though May wasn’t our strongest month ever in Marketing, we definitely had fun. Oh and with plenty of lessons learned. All hands were on deck for an experiment we call “Page Fights” (seen right), that kept the marketing team very busy this past month. 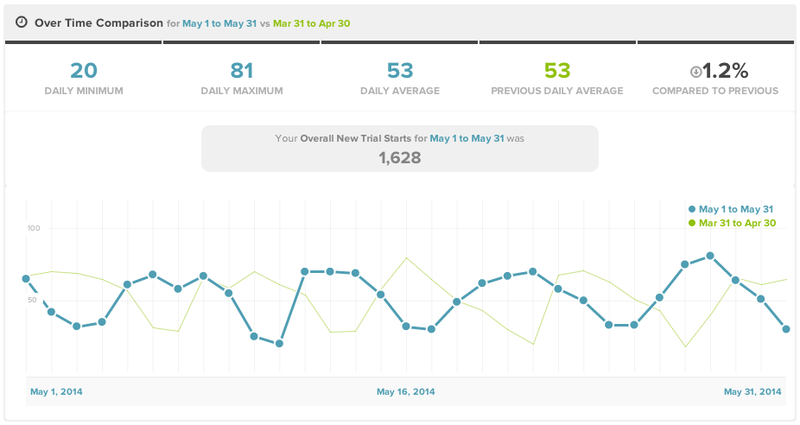 And despite our total New Trial Start numbers not growing as intensely as they were in February and March, Pro plans are steadily climbing! 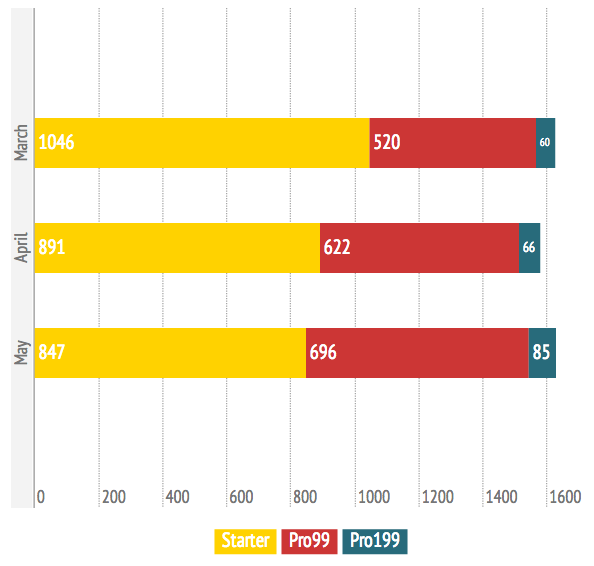 While Starters are down 5% (which were in large part inflated following our ThemeForest partnership in Feb & March), Pro99s are up 12% and Pro199s are up 29%! That’s movement in all the right places. And that makes missing our targets by 1.6584766584766584% ok.
Thankfully it looks like traffic numbers on the blog are making a bit of a recovery in May (weeks 19 to 22 above). We’re obviously nowhere near mid-March numbers (when for example this social post went, well, social) but things are looking up, particularly because we now know the drop was not the result of any crazy algorithm change. @unbounce the UI of the editing tool is astonishingly amazing. I’m shocked it can do so much for a web based tool! Today I tried @unbounce, and I have to say it’s bloomin’ marvellous! Wish I’d tried it years ago. Need PPC landing pages? Go try it! I have to commend @Unbounce. Their content is off the hook. 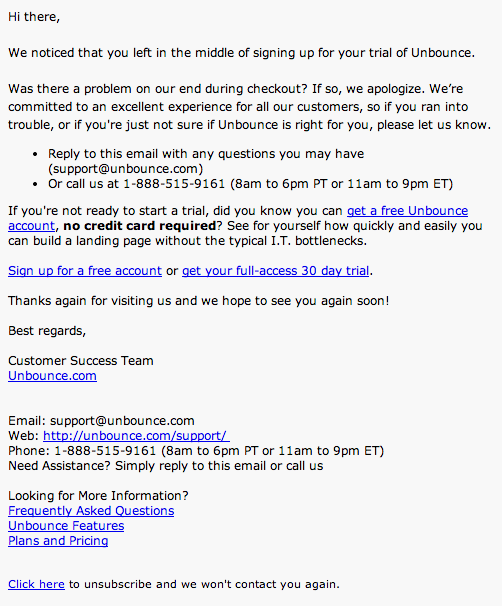 Oh no @unbounce, u just sit there & look pretty. I’m gonna wine you & dine you & switch this relationship status from complicated to taken. 600 registrants, 200 landing page submissions, 38 reviews, 3 episodes, 116 minutes, 10 finalists, 5 prize winners, and 1 landing page champion. Phew. We certainly didn’t get everything right, but in the end, we learnt a ton and have a really solid plan for moving forward with Page Fights that marketers are going to *love*. If you’re looking to have your landing pages reviewed by CRO experts Peep Laja from ConversionXL and Oli Gardner from Unbounce, be sure to signup at PageFights.com to be the first to know when the next round of Page Fights will be. Did you miss the hilarity of Round 1 of Page Fights? Watch the recordings here. Checking out #PageFights from @unbounce right now. Ruthless and Informative. Just what I need. Now time to step my game up. On May 20th, Hunter Boyle from AWeber presented the Beyond Lead Generation: From Landing Page Forms to Email Follow-Ups Unwebinar. Though the registration or attendance wasn’t record breaking, engagement definitely was. Hunter did an excellent job, included tons of meaty insights and techniques, a plethora of examples (and who doesn’t love those?) and kept webinar attendees attentiveness at an all time high. @hunterboyle @Ryan_Engley @unbounce Super-big HIGH 5 for the amazing morning #Unwebinar session! Watching perhaps the best webinar I have ever participated in!. Congratulations #unwebinar @unbounce @hunterboyle OutStanding job guys! It’s been one year since we implemented our “Signup Abandonment” Nurture Campaign and since then we’ve reclaimed 34% of signup abandons, simply by asking “Did we mess up?”. Since June 15th, 2013, 14,287 people have abandoned our New Trial signup process — 3823 (27%) are now on a free account, and 983 (7%) went on to a paid plan. That’s 4806 people who just needed a little more help making their decision. Huzzah! One of the nice things about this is that once the campaign was built, we’ve needed to do very little. Unlike most things in marketing, this has for the most part been ‘set it and forget it’. When someone abandons the signup process (after completing their email), they are added to a list in our ESP. It’s amazing that despite the nature of this nurture campaign, not that many people unsubscribe. In fact, open rates average 30% and click rates are a respectable 4%. Is this the perfect formula? Doubtful. Am I looking forward to testing a different sequence? You betcha. Welcome to the newest Honey Badger, Chelsea Scholz! Chelsea joins our team as our much anticipated and needed project manager. She’ll be helping our marketing campaigns moving along both smoothly and quickly. Happy to have you join the team, Chelsea! Here’s me, belly busting out of my Unbounce tshirt. I’m expecting a “Baby Badger”! Most of you know me as pretty career-driven, so these past 8 months have been a roller coaster (and no, not just because of the hormones!). I’m super excited to become a mom, don’t get me wrong, but ‘Marketing at Unbounce’ is also my baby. I’ll be missing my team, and everyone at Unbounce during my time away, but, at the same time, I have a ton of pride and confidence that the next 6 months are going to be our best yet. I’ll be taking some downtime vacation for much of July, followed by some maternity leave after that (I’m due July 26th). While I’m away, these updates will be brought to you by none other than our Marketing Manager, Corey Dilley. Corey’s going to help hold down the fort in my absence, and I couldn’t be more grateful. Thanks C-Dilley.